Welcome to my site my name is Ian and I own and run LSH Projects i'm an established Bromley based Landscape & Maintenance company covering the South East and Bromley BR1, BR2, BR3, BR4, BR5, BR6, BR7, as well as SE Post codes we also cover the TN post codes. I have been working in the Bromley, Orpington & Chislehurst Area as well as the South East of London for many years offering customers professional exterior solutions to homes and businesses. 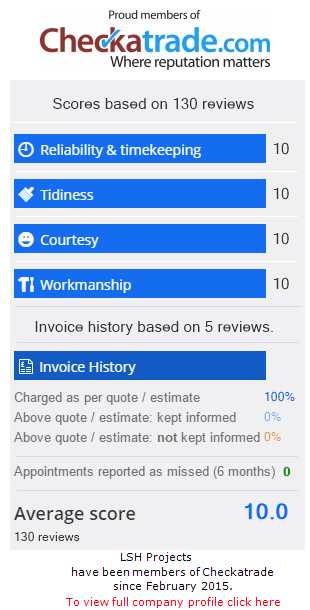 I have over 30 years of experience in providing our customers with high quality services delivered on-time and in budget I started work in construction in the early 80's working on projects for some of the largest Blue chip company in the UK covering the fields of Construction and Maintenance a while ago as part of a life change I decided to go out on my own offering smart solution for exterior across the Southeast. My team is fully equipped, fully skilled, and fully insured with references to match so what ever the task or question please call me today. My contact phone numbers and email address is listed on our contact section at the top of this page. Please feel free to get in touch as Ii would love to hear from you.